How did this community generate 554 new leads at a cost half the industry average? 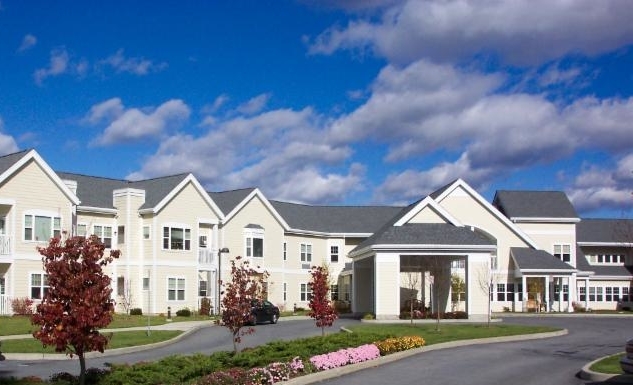 This retirement community generated 554 leads from one event! Westchester Meadows, a CCRC in Valhalla, NY, exceeded everyone’s expectations when a single event generated 554 new leads. 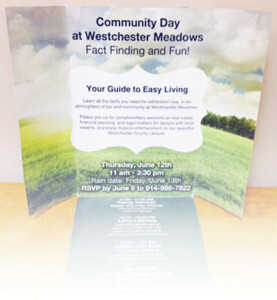 Through a combination of targeted direct mail and telemarketing to offer a stimulating, timely event, Westchester Meadows beat the industry averages and boosted their leads database. Here’s how they did it – and how you can, too. 1. They offered something of value to prospects and participants. Westchester Meadows partnered with Hamlyn to create the Community Day event, which offered prospects opportunities to speak one-on-one with realtors, financial planners, and home staging experts in a fun, social atmosphere. Advice from local home staging experts on getting the most out of their potential home sale. And, participants from local businesses were afforded access to likely potential customers: seniors nearly ready to use their services as they make the move to a retirement community. 2. They accurately targeted prospects. The list’s parameters closely matched the community’s formula for financial qualification. The invitation for the Community Day event was an unusual shape and size. The gatefold invitation piqued curiosity and engaged readers from the first glance. The invitation was bright, sophisticated, easy to read, and accurately reflected the positioning of the community. 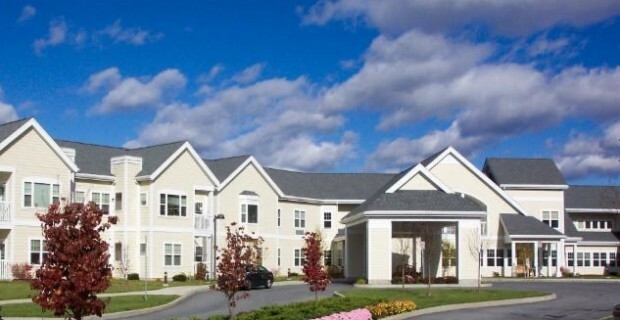 Through Hamlyn Senior Marketing, Westchester Meadows engaged the services of a telemarketing company to follow-up with households on the purchased list. 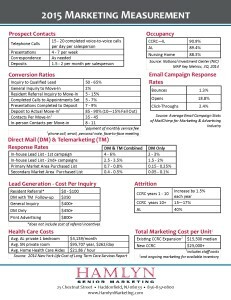 Hamlyn’s industry metrics show that telemarketing makes the most of direct mail efforts by more than doubling the response rate. Beyond boosting attendance with personal contact, telemarketing professionals also collected information about households that were not able to attend the event, but interested in learning more about the community and attending future events. Leads from the in-house database were contacted by the sales staff directly and encouraged to attend. Personal contact makes all the difference – 37 leads were reactivated! It’s crucial to have sales staff (and some extra support) available on the day of the event to greet prospects and to offer impromptu tours of the community. Staff gave tours on the day of the event and made sure every visitor felt welcome. Community day was initially planned as an outdoor event, but rain that day moved the event indoors. For seniors, weather can be an especially strong deterrent to attendance, so it’s important to plan ahead for a changed venue or lower turnout due to weather, just like Westchester Meadows did. 6. Remember, it’s about so much more than the event! Follow-up from the event is just as important as the event itself. A no-show doesn’t always mean no interest; these leads should be contacted, invited to future events, and pursued just as thoroughly as those who attend. No-shows can be due to weather, forgetfulness, or health, all of which are also motivators to make the move to a senior community. Plus, the real estate agent at the community day event got three new listings! Lead generation is key to keeping pipelines full and meeting occupancy goals. Events that bring qualified prospects to your community start the relationship and position your community as the first choice in retirement living. Could your community benefit from an event like this? Call us at 856-857-0800 for more information, or sign up for our newsletter for more ideas like this one.